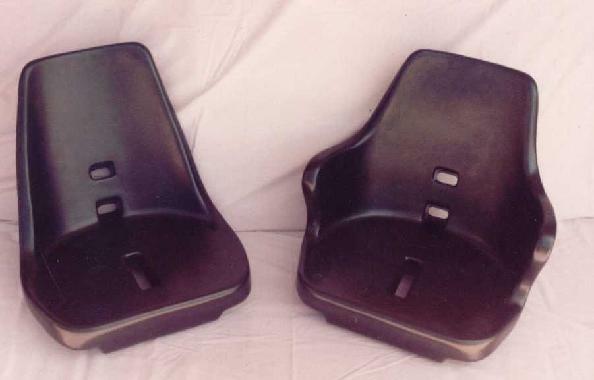 Molded from rugged durable polyethylene, the rotocast equipment seats will never rust, dent, corrode or need painting. They are impervious to -40 degree temperatures. Both models have a molded in water drain hole so that the seating surface of the chair will stay dry. Roto standard measures 16" High x 16 1/2" Wide x 16 3/4" Long and weighs 7 lbs. Roto deluxe has full arms for restraint and measures 18 3/4" High x 20 3/4 Wide x 18" Long and weighs 9 lbs.